VIERA, Florida -- The Brevard County Sheriff’s Office West Precinct General Crimes Unit is currently trying to identify a suspect involved in a grand theft that occurred at the Kohl’s Department Store in Viera, Florida. 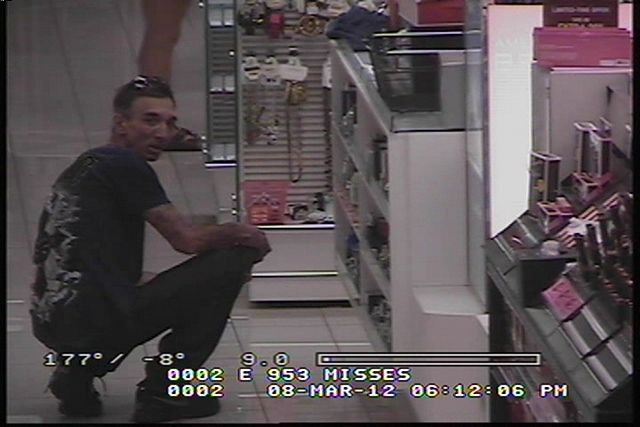 The Sheriff's Office says that on March 8, 2012, the white male suspect pictured above entered Kohl’s and stole approximately $1,200 worth of merchandise. The suspect concealed the merchandise in a shoe box and exited the store without paying. It is unknown at this time what vehicle the man left in. Anyone with information concerning the identification of this suspect is asked to call the Brevard County Sheriff’s Office West General Crimes Unit at 321-617-7306 or CRIMELINE at 1-800-TIPS (8477). All calls to CRIMELINE are confidential, and callers can remain anonymous and be eligible for a reward of up to $1000.00 for information leading to an arrest. For any additional information related to this investigation please contact Agent Jesse Forrest, Brevard County Sheriff’s Office, West Precinct General Crimes Unit, at 321-506-4855, or 321-617-7306.